Manifestations in Iraq that set off on July 9 are continuing against unemployment, poverty, corruption and dysfunction in public services. 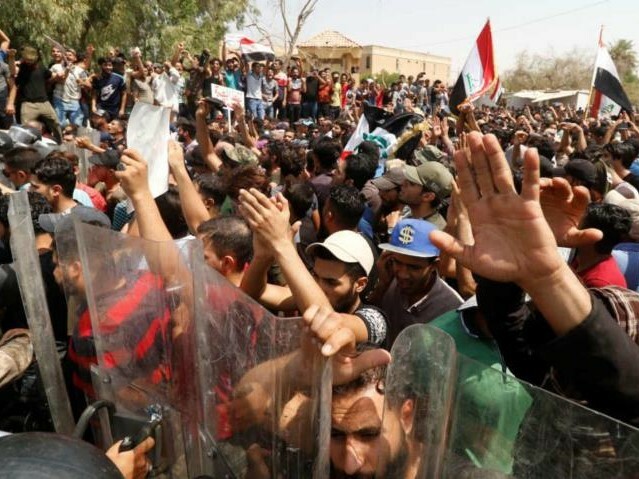 On July 20, thousands of people took to the streets in Baghdad chanting slogans that denied the sectarian-ethnic quota system, corruption and violence against demonstrators. The Iraqi Communist Party considers this mobilization to be an "expression of the real need and suffering and of the bitter reality" for the citizens. The Party accuses relevant authorities who have not responded yet to the immediate demands such as providing electricity and water in this hot summer but who have been dealing with the demonstrators with extreme cruelty instead. The Political Bureau of the Party condemns and rejects the use of any kind of violence and holds the government and relevant ministries and bodies responsible for the deaths and injuries, as well as for the continuing prosecutions and arrests. The Iraqi CP calls for an immediate end to the condemned practices against demonstrators, the release of the detainees and the referral of officials responsible for issuing such orders to investigation and legal accountability. See the link for the full statement of the Political Bureau of the Iraqi CP.